When you decide to place a loved one in a nursing home, it is expected that staff members will provide the diligent care and support that your loved one needs. Under the Nursing Home Reform Law of 1987, staff members must provide care that ensures the highest level of physical and psychological well-being for nursing home residents. Medicare maintains data on the 229 nursing homes in Colorado and gathers information through surveys, inspections and investigations into formally filed complaints. The federal agency reported serious violations and deficiencies at fifty-three (23%) of Colorado facilities that led to serious harm and premature death of residents. Was your loved one injured, abused, neglected or did they die unexpectedly through mistreatment while living at a Colorado nursing home? 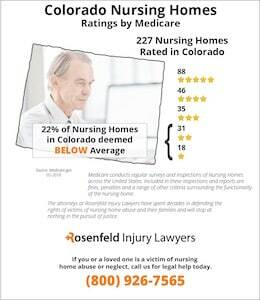 If so, we encourage you to contact the Colorado nursing home abuse & neglect lawyers at Nursing Home Law Center today. Let us begin the process of obtaining financial compensation on your behalf during a free case evaluation. The Nursing Home Reform Law of 1987 also outlines the many rights that nursing home residents have in receiving care from a facility. Nursing home residents have the right to receive adequate medical care and care that respects their quality of life. In addition, nursing home staff members have a legal obligation to respect the dignity of each resident in a nursing home. If you discover that your loved one has developed bed sores or has been the victim of abuse, then a Colorado nursing home lawyer may be available to assist you. Under the Colorado Statute of Limitations, victims of nursing home neglect or abuse only have two years to file their claims. The statute begins to run from the day in which a victim discovers his or her injuries that result from neglect or abuse. Under the Colorado Wrongful Death Statute, family members also only have a period of two years in which to file legal claims on behalf of their deceased loved one. Colorado laws also provide specific protections for those who are nursing home residents. 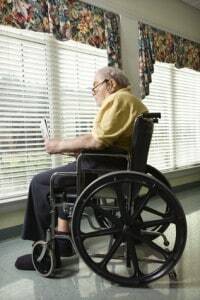 Nursing home residents are considered “at-risk adults” under §26-3.1-101, and the statute also defines specific instances of abuse for which staff members may be criminally liable. §26-3.1-101 states that abuse can occur when an at-risk adult suffers from malnutrition, dehydration, skin bruising, bleeding, burns, bone fractures, poisoning, subdural hematoma, suffocation or swelling of soft tissue. In addition, Colorado laws maintain that neglect occurs when an at-risk adult does not receive food, clothing, shelter, medical care or psychological care in a timely manner. There are reporting requirements in place under Colorado statutes for family members who notice that a loved one is being abused or neglected. Family members should immediately make an oral report of the abuse to a county department within 24 hours. It is sufficient for family members to simply suspect that abuse is occurring in order to make a report to an authority. In addition, there may be other professionals who are required to report such signs of abuse. Any physicians, assistants, nurses, medical examiners or even coroners must report any signs that they discover of abuse on a loved one. When a report of abuse is made, an agency will then immediately begin to investigate the report. An interview with the nursing home resident will be completed. Colorado nursing home lawyers are here to fight for your rights and help you succeed in asserting a legal claim. Nursing Home Law Center LLC is committed to holding medical facilities accountable when a person at a nursing home or hospital develops a pressure sore. 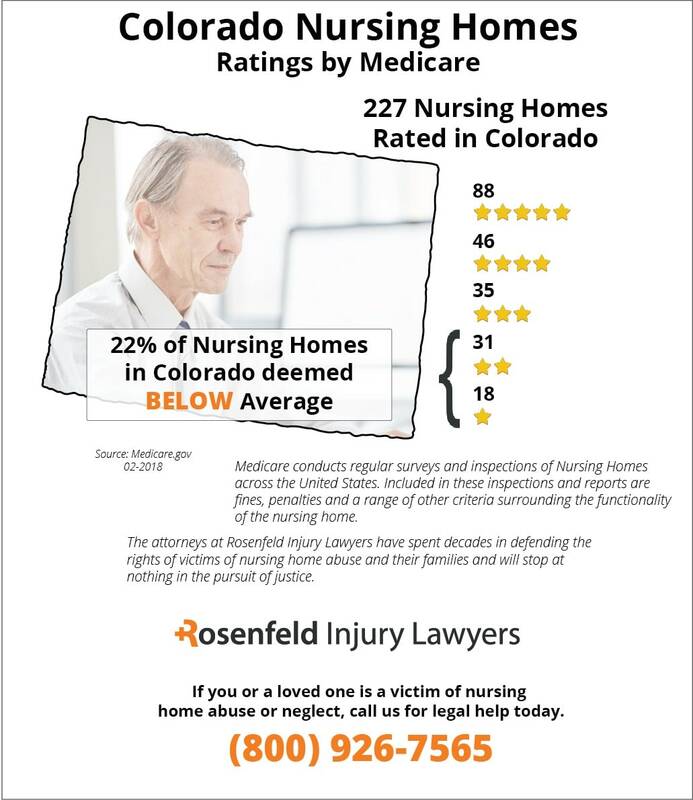 Our Colorado nursing home abuse lawyers have a track-record of success when it comes to prosecuting these cases. We invite you to contact our office for a free review of your Colorado pressure ulcer case. Most problems with developing bedsores could be avoided if the medical staff at the nursing facility performs a skin inspection on the patient. Checking body parts most susceptible to pressure sores (pressure points) provides the opportunity to quickly identify a developing bedsore in its early stage. These pressure points are typically bony prominences that make contact with bedding material, padding or another part of the body including the buttocks, ankles, heels, head, shoulders and shoulder blades. Unfortunately, many patients suffering bedsores (pressure ulcers; decubitus ulcers; pressure sores) are neglected by nursing staff that are too busy or lack sufficient training to provide quality care. Bedsores are categorized in four specific stages. In the early stage (Stage I) the pressure sore will appear as a reddened area or blister with slight inflammation. The condition develops because blood flow is restricted to the area, depriving surrounding tissue of necessary nutrients and oxygen. However, without treatment, the inflamed reddened area progresses deeper into lower layers of skin and into fat, muscle and eventually bone. The easiest way to avoid the condition is to treat the bedsore before it begins to progress farther into the skin at the epidermis layers. Treating the condition in its early stage requires repositioning the body to relieve the pressure and allow blood flow and oxygen to flood back into the area. Bedsores can become life threatening if allowed to progress or advance into the final stages (Stage III & IV). Once the condition reaches the deep layers of skin, fat, bone and muscle, treating the sore becomes far more challenging. It often requires surgical debridement where dead or rotting skin is removed in an effort to promote healing. At this point, the open wound is highly susceptible to developing a bone infection (osteomyelitis) or a blood infection (sepsis). Family members are often horrified when they realize their loved one is suffering from a bedsore and wonder if it is due to neglect. However, there are steps to ensure the nursing staff is performing their duties to prevent the development of sores. If the facility is being managed correctly, the nursing staff will maintain progress notes where daily skin inspections are documented. This ensures that the patient is being treated according to the health plan developed by their doctor and implemented by the nursing facility. Family members can ask to look at the nurses’ progress reports to take note of any marked skin inspection performed throughout each day. The charts should indicate any noted sign of a bedsore, and the appropriate action taken to alleviate the condition. The note should indicate the depth and size of the sore in the appropriate steps addressed to ensure its healing. 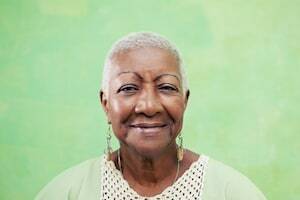 Even if the family members find progress notes in their loved one’s medical charts, the staff may not be qualified to handle the condition appropriately. Below is a list of qualified personnel with access to the best care possible. These skilled professionals can ensure that the love one receives proper treatment from qualified medical professionals dedicated to treating and healing bedsores. If you suspect negligence by medical staff at the nursing facility is causing the bedsore suffered by your loved one, it is essential to speak to a Colorado nursing home neglect attorney now. A skilled nursing home lawyer can take steps to stop the negligence immediately, provide specialized healthcare to ensure proper healing of the wound suffered by your loved one and help you seek financial compensation for the injuries they have endured. Nursing Home Law Center LLC has recovered millions for families impacted by pressure sores, allow us to do the same for you.